Every year at around about this time I experience conflict. I'm not one driven by patriotism, and this applies especially to F1 wherein nationalities have never mattered a jot to me. 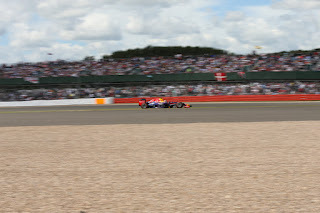 But even I cannot deny that there is something about the British Grand Prix. 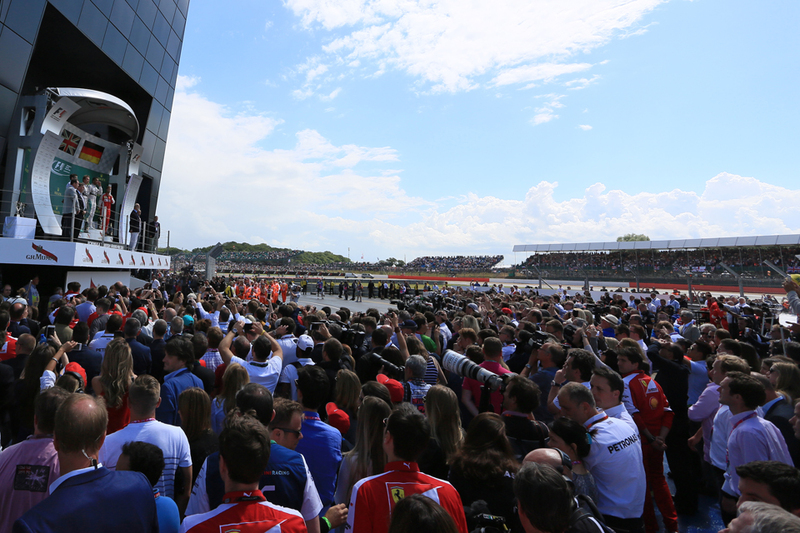 It can't even be said that its hardy host Silverstone has universal appeal. It's not glamourous, nor picture postcard. Its look is rather lunar. The late Christopher Hilton once suggested, possibly harshly, that "people get emotional at Silverstone but not emotional about Silverstone. Even when they're trying to save it, they're doing it because they want the British Grand Prix to survive, not because emotion dictates Silverstone." Yet still few refute that the Northamptonshire circuit bows to almost none in being part of the F1 furniture. And this is for a number of reasons. Chief among these is that it is F1's home gig. Seven of F1's ten teams are based (or in Haas's case has a base) in Britain, and six of these are within a few miles of the Silverstone track. So are a myriad of companies that supply them in this sport's equivalent of silicon valley. The venue also is among the sport's most ubiquitous. It was at Silverstone that it all started for F1 in 1950, and despite sometimes extensive changes in the meantime it retains much of its character: flowing, rapid and with many long and mighty turns. 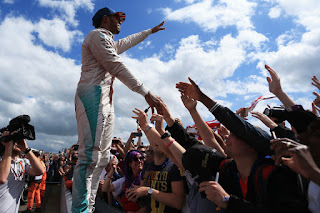 While in an age wherein much core support has had its back turned on it by F1, Silverstone's crowds remain both numerous and possessed of an inimitable organic feel. And while of course we can point to exceptions, the public here also has a good record of respecting all-comers. 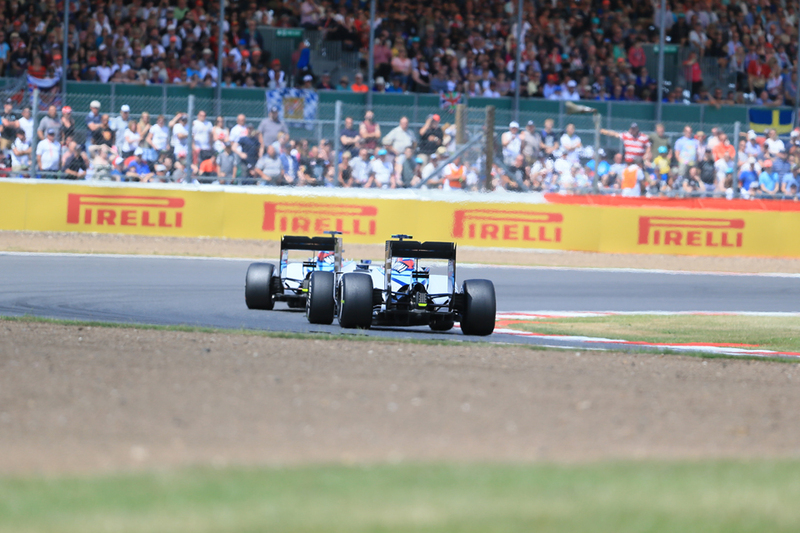 But as ubiquitous as Silverstone itself are threats to its F1 future. And there have been more just lately, with it reported that the circuit is to activate its deal's break clause - as the current financial settlement is unsustainable -meaning it won't have a contract to host the race after 2019. Given the lack of glaring alternatives one hopes that it's mere prelude to a more viable deal being struck. Eddie Cheever summed it up not so long ago, that "F1 not having a British Grand Prix is like the Pope not going to the Vatican." And these aren't the only ways in which Silverstone is a break from norm. Its long, fast corners mentioned provide a very different challenge from the more technical and fiddly last few stop-offs in Monaco, Canada, Azerbaijan and Austria. Indeed the sort of challenges as at Silverstone are rather scarce on the calendar as a whole these days. Mercedes starts the weekend as favourite, as it has seemed to make a break-through with its W08 on those previous tracks mentioned and they don't ordinarily suit the Merc. Now we're at a track - high speed turns et al - on which the silver car has virtually always dominated since the start of its pomp in 2014. Its aero is strong; its wheelbase more suited than most to such corners. And its power unit is a factor, and not just that it can stretch its legs on the fast circuit (70% of the lap at full throttle). 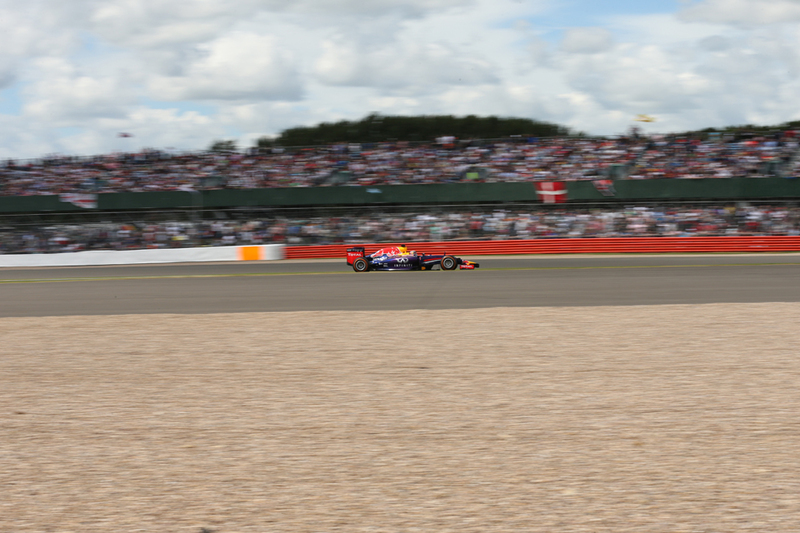 Efficient energy recovery is rewarded here, as Silverstone has few big braking zones to harvest energy at. It is a high fuel consumption track also - which in turn further scrutinises energy recovery. The Mercs also have dominated here (at least eventually) in each of the last three visits. While rewinding to the previous similar-ish circuit this season in Barcelona Lewis Hamilton was able to chase down and beat Sebastian Vettel to win, at a time when Ferrari was likely stronger relatively speaking. And in these parts Lewis personally is a big factor. He appears to have not only inherited Nigel Mansell's adored status at his home race but also his habit of finding extra resolve for it. Lewis has won the last three British Grands Prix, indeed rather dominated them. Then we have his 2013 drive through the field to fourth after an early puncture, him clinging to Mark Webber's coat tails in 2012 as well as his 2008 win here which was one even of his finest. As with Our Nige, it's impossible to think he won't be a major factor in any Silverstone race. It's timely for Lewis too, after two rounds wherein he looked the quickest out there but certain factors - some his own doing but most not - impeded him. He could do with making back some of the 20 point deficit to Seb. The Austria weekend indicated though that the title fight from Merc may not be just about Lewis. And Valtteri Bottas's Silverstone record is decent - he was superb in coming through the pack in 2014 to finish third while he might have won in 2015 with ruthless Williams strategy and rain staying away. We should not write off Ferrari though. Even with its recent downwards drift it remains a strong car on all types of track, as indeed it showed in Austria. Vettel led most of the way in Spain - might have won without a virtual safety car intervention - and qualified within half a tenth of the pole. And a flip side to this being most of F1's home race is that Ferrari takes particular pleasure from an away win. Seb meanwhile has extended his title lead in either of the last two rounds, despite apparently not having the raw pace of the Mercedes. Red Bull traditionally goes well here - long quick turns are just its thing - and it was at Silverstone last year that it started its run of being Merc's closest challenger when both Bulls out-qualified both Ferraris. And of course Max Verstappen dazzled in the wet race. And the Bulls have recently been creeping, almost unnoticed, towards front-running competitiveness. In Austria Daniel Ricciardo finished just six seconds off the winner, in a normal dry race with no safety cars. And that at a track, in contrast to Silverstone, that doesn't nominally suit the machine. 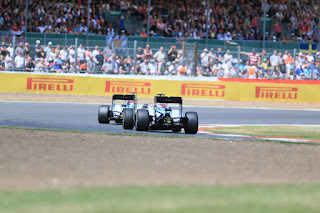 Of the rest Williams has an encouraging recent previous here including leading in a 1-2 throughout the first stint of the 2015 race. But then again in Austria it was poor on a single lap at least, only quicker than the Saubers in qualifying. And this team will be praying for rain staying away more than most as the Grove car tends to sink in such conditions. Teams with better chassis than engines will be worth watching, which could mean Toro Rosso. It might have included McLaren too but the Woking team may struggle in its home race as there is some chat it'll pile up on engine penalties so it can have a good run at sinewy Hungaroring next up. Strategy is an interesting one. The default here in recent times is a one-stopper (though rain in the last two visits spoiled such plans), as the harder compounds brought ran all day and had little between them on the stopwatch. It's tricky to overtake at this circuit, what with there not being a big braking point anywhere plus it can be hard to follow in another's turbulence through the long corners, so this further nudges competitors towards a single stop. But this time for the first time the supersoft is brought, and the hard not. The Pirellis generally are more durable this year but starting on the supersoft may force two-stoppers instead. Then again, last year the medium pretty easily did two-thirds of the distance. Set-up can be tricky at this track too given as noted it's a sort of layout not really encountered much on the F1 calendar these days. It also shows up aerodynamic instabilities rather ruthlessly as well as can give bum steers on the tyres. The exposed track expanse means the wind and its changing direction can also befuddle drivers and engineers, by destabilising cars and altering braking points. 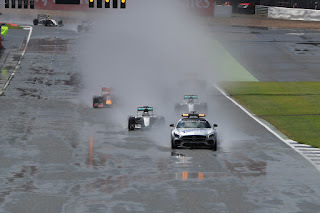 Rain in practice can deprive teams of vital running time. With so many teams close to home they will be tempted to shuttle back and forth from their factories to try out new pieces on track. Not everything about being at home is comfortable in F1. But whatever is the case, just be glad that this one still exists for now at least. Even if you're not much of a patriot.